Many claims have been made that Republicans fought an uphill battle against social media in the 2018 election. That might not be the only battle. Did email providers suppress Republicans in the 2018 election? According to this report, it sure looks like it. 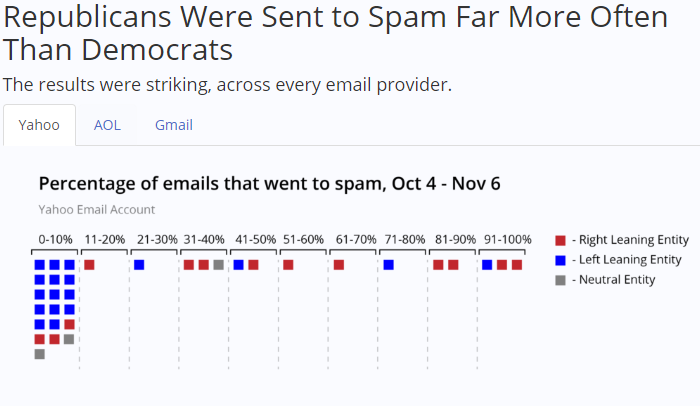 Sure, there are a lot of factors that come into play when it comes to email deliverability, but when you take a look at this report, it’s easy to see why many think Republicans are being censored. Is the world of email biased against conservatives? Many partisans often mutter such an accusation against Silicon Valley. Yet, few digital professionals take the time to investigate whether such a bold claim is true. Poor email deliverability doesn’t just suppress a candidate’s message, it decreases the engagement of campaign supporters. That means fewer donations, fewer volunteers, and fewer advocates. 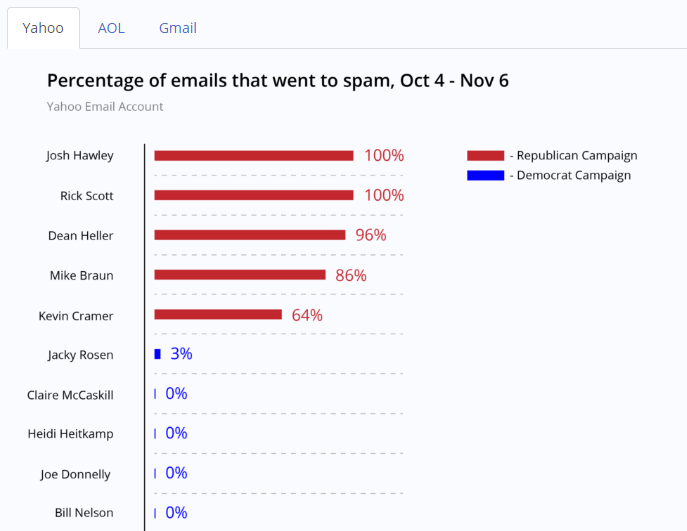 If Republicans underperform in email deliverability, they face a disadvantage on Election Day. As stated earlier, it’s hard to pin down exactly why email isn’t reaching the inbox. There are many variables involved. That said, it’s very unlikely that out of ten politicians all five Democrats did a great job of adhering to the complex rules of reaching an inbox and the Republicans did not. If that is the case, the Republicans need to take a long look at who they are hiring to handle their digital marketing.